Did you know that stress is a leading cause of many modern diseases? Chronic stress will increase blood pressure, raise your cholesterol, heighten your risk of diabetes and cancer. It will reduce your immune system, increase inflammation and affect your ability to think clearly and creatively. Chronic stress can rob you of your precious ability to enjoy life. Do you find life is stressful? Do you jump at sudden noises? Do you find life too busy or overwhelming? Do you get angry or irritable? Do you or have trouble sleeping? Has life lost its joy? If you answer yes to one or more of these questions then this 8 week course will give you the tools and techniques to create a sense of control, calmness and inner peace. During this course you’ll learn a range of powerful, quick and effective techniques to manage stress, calm your mind and be at peace. You’ll also learn how to manage your thoughts and emotions, explore the mind-body connection and enhance your health and happiness. Each of the 8 Online Modules includes a 20 to 30 minute Video Presentation, a beautiful Guided Meditation and a pdf of the Module Notes. You’ll receive one Module a week to allow you to easily incorporate the techniques into your daily life. Module 5 Managing Emotions Discover the immediate effect of working with your body’s meridians and acupressure points to clear uncomfortable emotions. This module teaches you Emotional Freedom Technique (EFT). Module 6 Managing Energy Understand what the Aura, Chakras and Meridians are and how to work with them to reduce stress and create serenity. Being Empowered Explore the difference between being submissive, aggressive and assertive. Discovered how to claim back your power and confidently create change in your life. Module 8 Compassion, Tolerance and Serenity Discover how to let go of judgement and develop the “Art of Allowing”. Learn to open your heart and open your mind to allow you to live in a state of peace regardless of what’s happening around you. This unique and ground-breaking training will leave you feeling in control of your thoughts, actions and emotions. It will give you the tools to reclaim your joy, your energy, your optimism and your wellbeing. Stress to Serenity is facilitated by Alison Burton. 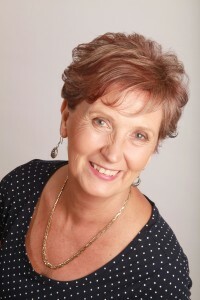 Alison is one of Melbourne’s leading Hypnotherapists. Alison is the owner of Simply Natural Therapies Natural Health Centre. She is a sought after public speaker and has appeared on ABC National Radio, SBS Radio, Foxtel’s “Living Life Now” and “The Healer’s Way”. She has also featured in The Age, Herald Sun, Insight Magazine and local news media. Alison has a keen interest in all aspects of natural health and wellbeing, energy medicine and human consciousness. Alison’s interest in energy healing is often incorporated in her work as she leads her clients from Stress to Serenity.